So, how can you take advantage of this exceptional feature? 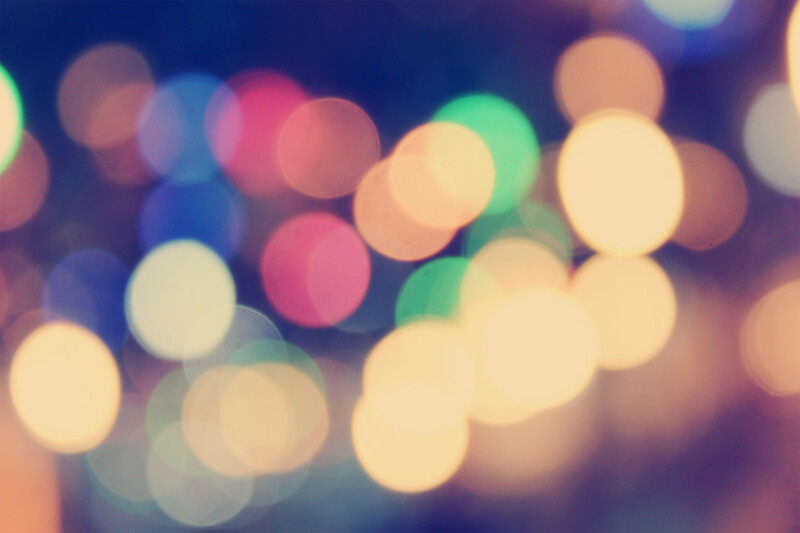 Here are 5 ways to make your Twitter more visual. Even if what you’re tweeting isn’t particularly picture-worthy, you can still get more eyes on your content by sharing a picture with good-looking text overlaid on it. Whether it’s the title of a blog post, an intriguing question or a statement, keep it short, simple and to the point. Bonus points if you can include a relevant background image. 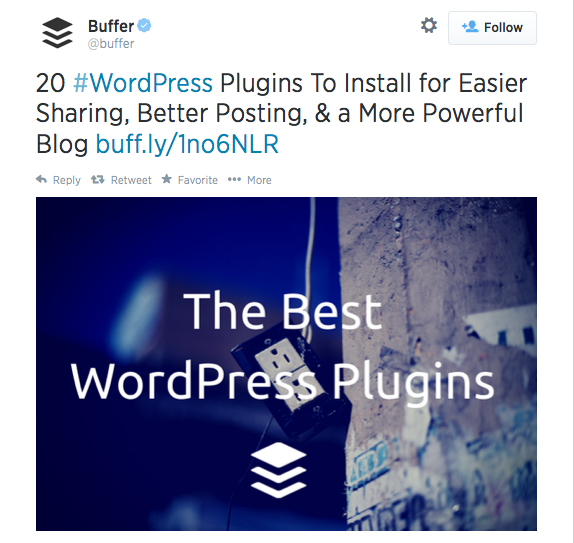 @Buffer uses a simple image to promote a blog post. Give followers something worthwhile in visual form. Whether it’s a profound quote from an interview with a thought leader or a tip with an accompanying image, providing visual content is more engaging—and encourages readers to check out the full piece. 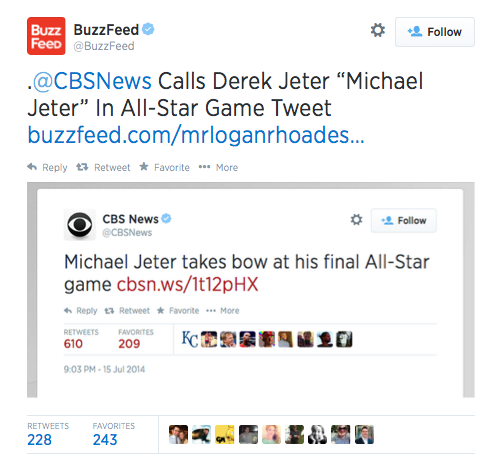 Even if followers don’t click the article itself, they can still retweet it, extending your brand’s reach. 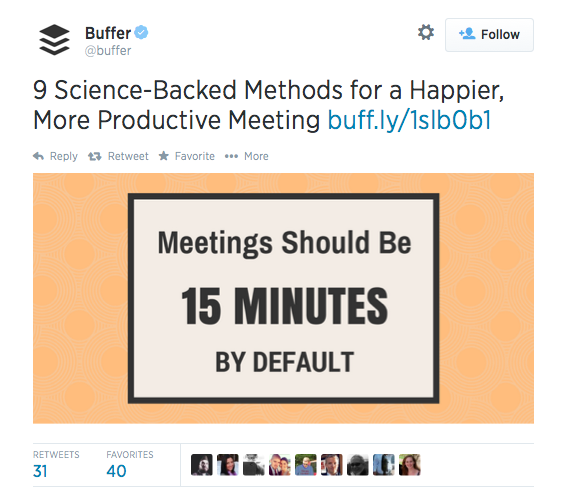 @Buffer shares a great teaser tip to entice followers to read the article. There are few things more fascinating than meaningful data made visual, and a Twitter picture offers a highly sharable way to engage your followers in data storytelling. 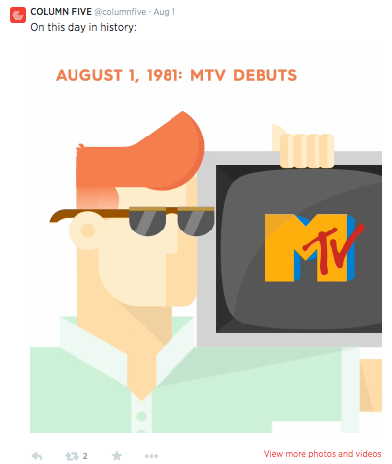 Data helps tell a simple story in a beautiful way. 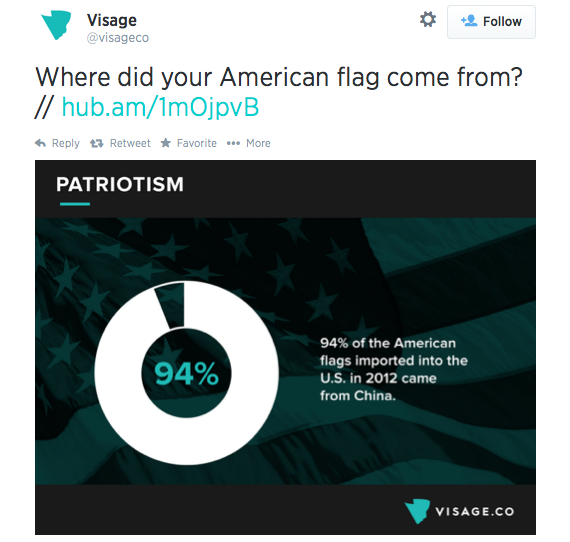 This @VisageCo graphic tells a quick story, making the most of a single image. With the addition of static pictures and Vine videos, Twitter has also added the ability to share animated GIFs, opening up a whole world of possibilities for creating moving content. These moving formats are highly under-utilized in the Twittersphere and can set your content apart. Mixing up your visual formats allows you to connect in more creative ways. The retweet has always been a staple of Twitter, but doing one with a screenshot of the original tweet gives you more flexibility. Not only are you giving a solid shoutout to the account you’re mentioning, but you can also use your entire 140 characters to comment on the original tweet. Make the most of your 140 characters with a visual retweet. As Twitter continues to evolve, make sure you are staying on top of the latest features and best practices to keep your followers engaged.